As a Sacramento estate planning and elder law firm, we are consistently focused on legal and financial matters that are of interest to senior citizens and their families. One of the most pressing issues that people are facing is the matter of long-term care. Many people are very surprised when they find out that Medicare will not pay for a stay in a nursing home or assisted living facility, and it does not pay for in-home health aides that provide custodial care. If you are not too concerned because you expect to be able to handle all of your own day-to-day needs throughout your life, you may be surprised when you digest the relevant statistics. LongTermCare.gov is a very informative website that is maintained by the United States Department of Health and Services. They cite a lot of interesting studies, and one of them gets your attention immediately: Seventy percent of people that are old enough to receive Medicare benefits (the eligibility age is 65) will need help with their activities of daily living at some point in time. Many senior citizens would prefer not to enter assisted living facilities because they enjoy their lives in their homes, and there is also a financial motivation. As we have stated, we practice in Sacramento. The median annual charge for a one bedroom unit in an assisted living community in our area is just over $45,000 per year (according to Genworth Financial). If you multiply this by a number of years, the expenses can be staggering. Plus, many people will move into nursing homes after spending some time in assisted living facilities. 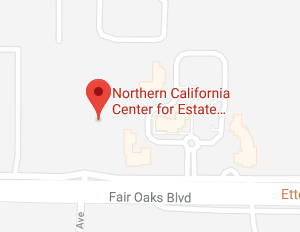 In 2018, the median monthly price tag for a private room in a Sacramento area nursing home is over $10,000, which factors out to over $120,000 per year. Sacrificing some privacy for some savings will have a minimal impact, because the figure for a semi-private room is still over $100,000. For financial and personal reasons, a family member will often step up to the plate to provide living assistance for a loved one. In many cases, this will be an adult child that is simultaneously taking care of their own children to one extent or another. People that are in this situation are members of the “sandwich generation,” and they definitely have a lot of their plates. If you are caring for an aging parent, you would do well to develop a checklist and work within a defined structure that has been beneficial for other caregivers. First, it is important to understand the health issues that are causing the challenges. In addition to the information that you get from physicians, you can also do some research on your own. Speaking of doctors, a legislative measure was passed back in 1996 called the Health Insurance Portability and Accountability Act (HIPAA). Medical professionals are not allowed to release records to anyone other than the person that is being treated. However, it is possible for a patient to sign a release that allows someone to access these records. You should certainly consider this if you are going to be acting as a caregiver for a parent with health challenges. While it is important to do what is necessary, you should encourage your parent to remain active and continue to feel a sense of self-sufficiency. Plus, you shouldn’t hesitate to reach out and ask for help from your siblings and other extended family members if you feel as though you are being stretched too thin. Along these lines, it is okay to feel negative emotions from time to time, because after all, you are only human. There are support groups out there that can be of great assistance if you would like to communicate with other family caregivers. If you would like to discuss long-term care or any other matter with a Sacramento elder law attorney, you can set up an appointment right now if you give us a call at 916-437-3500 or contact us online.